Divorce is as common today as it ever was, so it's important to look at the facts realistically before making the decision to get married. While everyone enters into a marriage union with intentions of being with their spouse for the rest of their days, unforeseen events may cause you to enter into divorce proceedings unexpectedly at a future date. Many people with significant assets understand that a prenuptial agreement may be the only way to protect their assets before entering into a marriage. Our Seattle prenuptial agreement lawyers can help you review and determine the best way to legally protect your assets, and your future. There are many commonly held misconceptions about how prenuptial agreements work, so it is vital that you speak with one of our qualified Seattle family law attorneys about your specific situation. Every prenuptial agreement must be fair and balanced, and this requires the skills of experienced Seattle prenuptial agreement attorneys who understand what is truly fair and balanced. If your agreement only considers your personal interests, or fails to reveal certain facts about your assets, the Washington court will likely render the contract void when it's needed most. Our Seattle prenuptial agreement lawyers recognize the need to create a contract that will stand the test of time, and with over 30 years of collective experience writing prenuptial agreements in Washington we understand the subtleties of this process. If you are in a long-term partnership, or planning to get married, you can get help today from one of our Seattle family law attorneys. If you fail to protect your assets now and then are faced with the divorce years down the road, the impact on your finances could be severe. 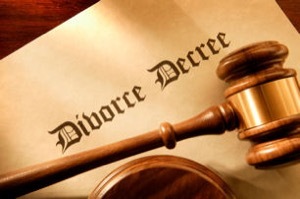 Our Seattle attorneys will review different methods for crafting a prenuptial agreement specifically to your needs, but our primary goal is always to minimize problems that could arise with the document if a divorce takes place. It is vital that your Seattle family law attorneys thoroughly detail who controls every asset, and how those assets will be shared with your spouse as the marriage matures. This is a realistic approach to crafting a prenuptial agreement, and it gives your contract a better chance of being recognized by the court as time goes on. You can schedule a free consultation with one of our Seattle prenuptial agreement lawyers to discuss your situation today. Without obligation, you will be able to ask questions concerning the law, and then use that information to decide whether a prenuptial agreement is wise for your situation. Our Seattle prenuptial agreement attorneys will work diligently to craft a document that has the best chance of being legally binding as the years progress. Contact our office in Seattle today and find out how you can protect your assets before walking down the aisle.